Whether you’re exhausted because your kids don’t listen, or you just have a few questions about how to deal with specific behavior problems, sometimes it’s hard to know where to turn for help. While friends and family may be able to offer sound advice and emotional support, getting help outside of your immediate circle can give you new insights and objective opinions. Parenting books offer a wealth of information. Whether you’re looking to learn new parenting skills, or you’re hoping to find validation for the type of discipline you’re already using, a book can be a great place to start. If you don’t enjoy reading, there are also lots of online courses, downloadable programs, and videos about parenting as well. Just make sure to do your research before you invest your time and money on products. Not all products are created equally so it’s important to make sure you’re buying from a reputable source. There are lots of parenting groups run by other parents. Some are focused on specific issues—like special needs or single parenting—and others offer general support. 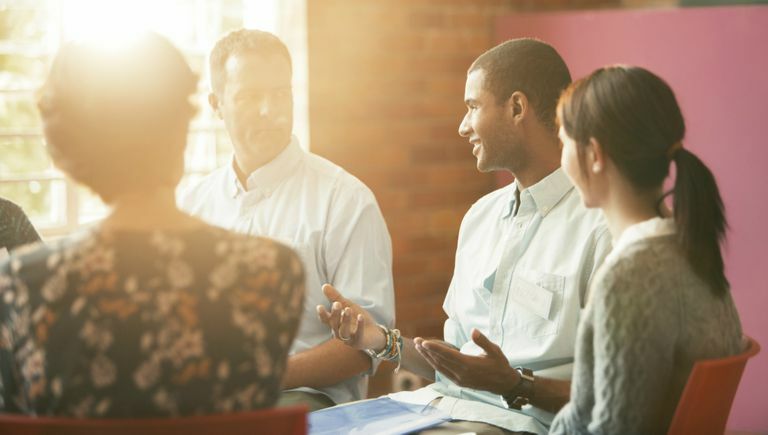 Hospitals, churches, and community mental health organizations often offer peer support groups. If you’re not sure where to look, check your local paper, ask a school guidance counselor, or contact a community health organization. Even if an organization doesn’t currently offer a group, they may be able to assist you in locating one. There are also lots of online forums and groups where you may be able to connect with other parents. One of the main benefits of online support is that you can log in whenever you can and you won’t need to worry about securing childcare. The drawback, however, is that you won’t receive face-to-face support from other parents in your area. Sometimes parents ask, “If my child is the one with behavior problems, why would I go to therapy?” But research shows parent training can be the most effective way to address behavior problems. Most therapists only meet with a child for an hour per week. That means therapy can be a slow process. But, if a therapist teaches you how to coach your child, you can work with your child every day on those same skills and you’re likely to see results much faster. Parenting coaches offer a variety of services. Some offer consultation via phone or Skype, and others can meet with you at your home or in the community. Parenting coaches may assist you with specific problems— like finding childcare during evening hours—or they may answer general parenting questions. Parenting classes are often offered by trained professionals. They may target parents of children in a specific age group, or they may be offered for parents of children with behavior disorders, like ADHD. They often teach a variety of basic skills and help parents gain confidence in their discipline techniques. Some of them offer in-home parenting support as well. Contact your local behavioral health center or ask your doctor or your child’s pediatrician for more information. Some parenting groups may be covered by your health insurance.